Hello there! 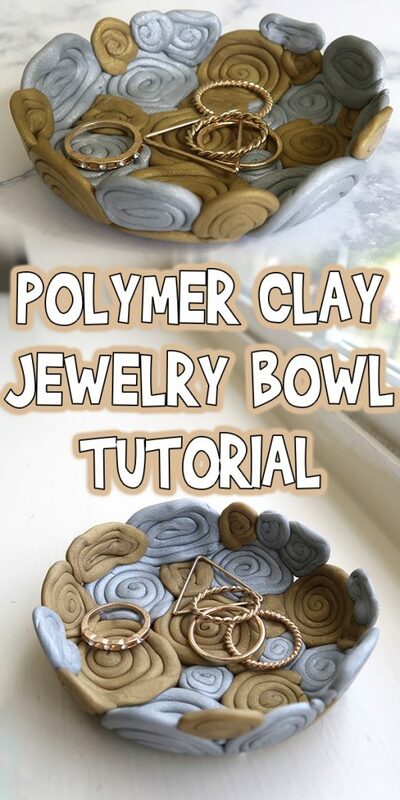 Today I’m sharing this Polymer Clay Jewelry Bowl Tutorial, and this is a great beginner polymer clay project. 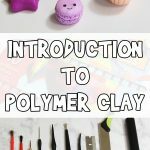 If you’re new to working with polymer clay, make sure to check out my Introduction to Polymer Clay post for the basics and some tips. Let’s get started! 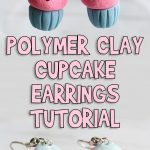 Gold and silver polymer clay. Or whatever colors you’d like. 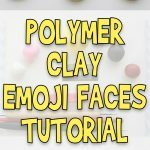 Start by warming up your clay by rolling it around in your hands for a while, then roll each color into a ball. So, this is a very free form style of project. 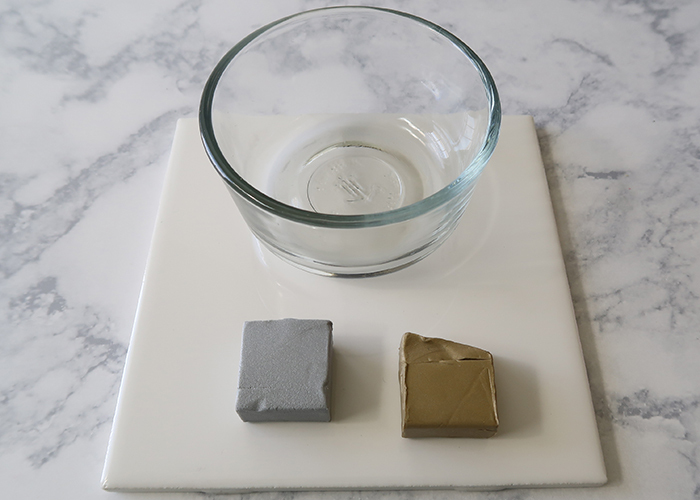 Start by taking a pinch of your silver clay and rolling it into a thin log. Then twist the log into a flat cinnamon bun shape. 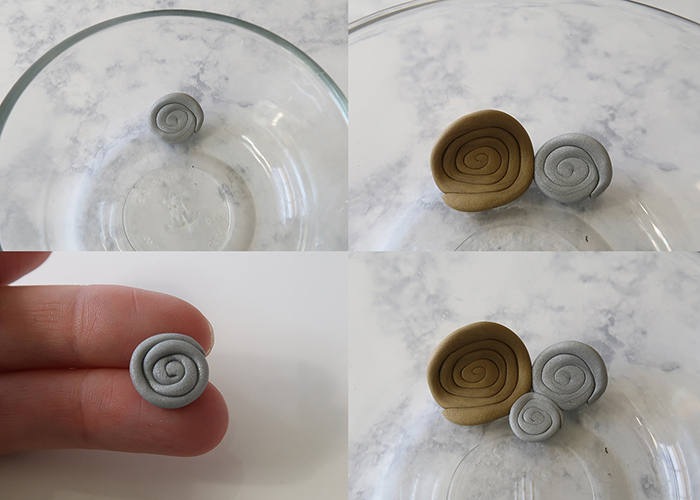 Take the little swirl and press it gently onto the inside of your bowl. 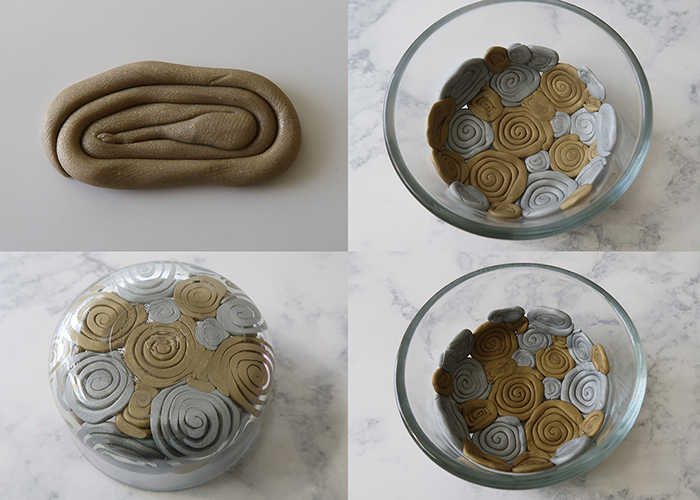 Then start making more and more swirls of different sizes using both of your colors, making sure they touch when you press them into the bowl. 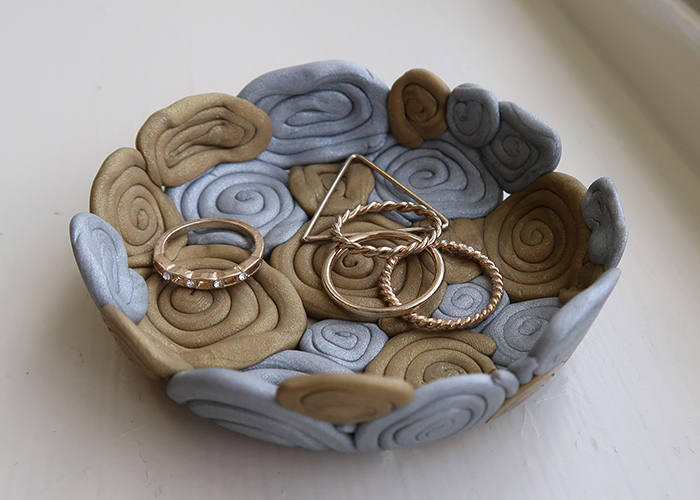 You can even make oval shaped swirls to fill in odd sized spaces. See how cool it looks on the bottom though the glass? When your bowl is all filled as high as you want it to be, go ahead and bake it according to the clay manufacturer’s instructions. 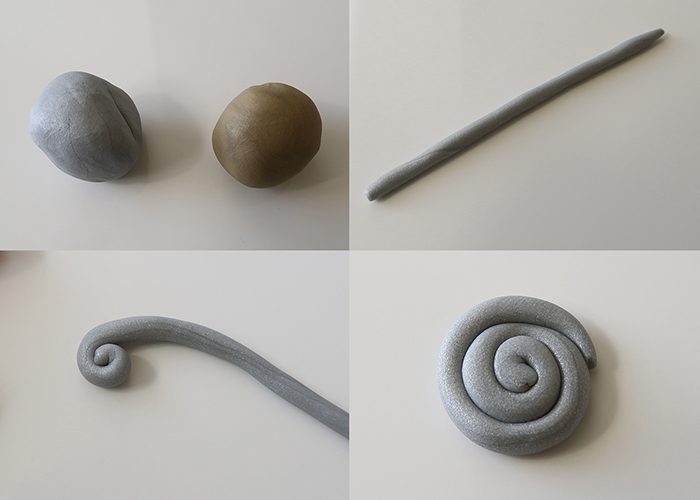 I used Sculpey and baked mine at 375 F for 20 minutes. Let your bowl cool completely, then flip it upside down and tap it gently against a surface. 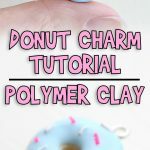 Your polymer clay bowl should fall right out! I love how fun and whimsical these look, and I love anything that is pretty and useful at the same time. 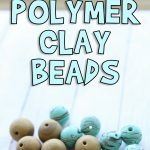 This is great for holding jewelry other small trinkets! 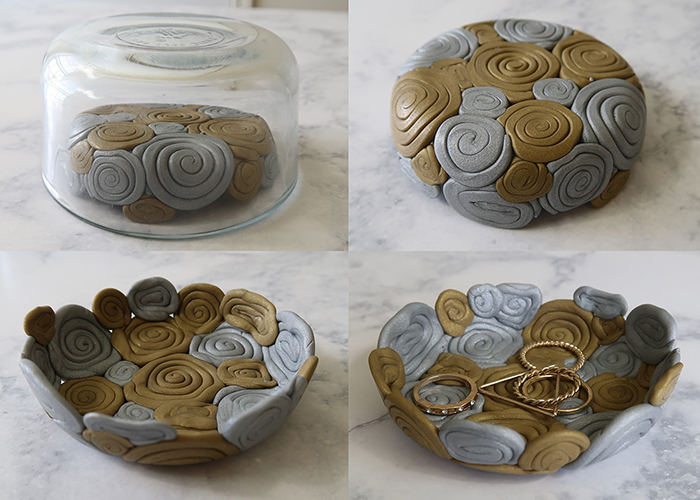 I hope you had fun with this Polymer Clay Jewelry Bowl Tutorial! 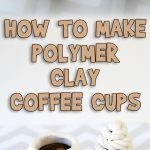 Let us know if you make this at home!